Join US to get updates on the upcoming release of We RiseUP The Movie! Join us today & receive the RiseUP Exclusive Talks from Tony Hsieh, (Founder & CEO, Zappos.com), Alanis Morissette (Grammy Winning Musician) and Jack Canfield (Author Chicken Soup for the Soul series)... and more! John thinks we are here to create. If we quiet down and center ourselves, we can hear the voice that is urging us to fulfill our higher purpose, to fulfill our destiny. John states "It's just that most people are just too afraid to answer the call. They are afraid of failing, afraid of being rejected, afraid of being nuts. And we don't live very long. We can't just stay, we are passing through this life. We have to wake up, grow up and show up." For John, this defines how to RiseUP. John believes that someone wakes up it could be in a flash, but in his case it was a series of awakenings. In fact, he feels like he has gone through a series of awakenings in order to be able to create a successful business. Here are John's top three words and values to bring into a successful business. I think the most important thing for a business is to discover what is its higher purpose. Why the business exists? From the very beginning when we founded Whole Foods, the original store had a higher purpose, which was a simple one: sell healthy food, earn a living and have fun! And that purpose is still being fulfilled, but it deepens over time as you go further into it. You find when you are on your path. You find joy there. You find happiness and you know you are on the right track. As you stay dedicated to that, the purpose deepens. We need to build enterprises based on love. Love needs to come out of the corporate closet. It needs to fully awaken. It needs to awaken, grow up and show up. We can’t transform an enterprise without releasing love in it. Integrity is such an important value because there is so little of it. I don’t meet many people that I consider who have really high integrity. People routinely lie. They don’t have the courage to do the ethically right thing. Our whole political system spins everything. Corporate leaders spin things because they don’t think we can handle the truth. So, we’ve got to start handling the truth. Integrity is very important: purpose, love and integrity. John was asked, when is this going to be the new norm for business? "It’s inevitable that this becomes the new norm for business. It’s absolutely inevitable because the great thing about business is that whatever works better spreads. And this works better. The entrepreneurs who embrace it will have success." After receiving her Bachelor’s degree in Behavioral Sciences, Catherine began teaching and choreographing for all types of dancers including The Silhouettes (seen on America’s Got talent) and being the Ballet Coordinator for an annual ballet competition called Young Artist’s Alliance designed to give young talented artists scholarships. 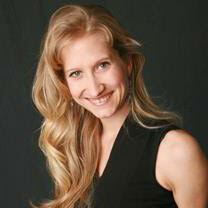 Currently, Catherine teaches ballet and choreographs full time in Colorado. She has been honored to travel and work on the production team for Joe Dispenza’s Advanced Workshops. Additionally, she travels around the world as part of the core team for the course “Being A Leader” developed and led by several remarkable people including Werner Erhard. Lastly, she has now branched off into her own self-expression of developing her own workshop "Creating a New Body/Mind Paradigm" for women addressing self-care and body image.